When it comes to gift ideas for drinkers who appreciate a little nostalgia and a place to stash the good whiskey, Our Personalized Antique 24 oz. 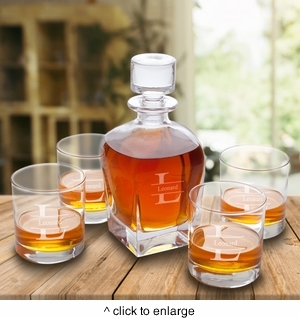 Whiskey Decanter with 4 Lowball Glass Set will make an excellent gift for birthdays, Father’s Day, and special occasions for drinking buddies, business associates, and golfing pals just to name a few. DETAILS: Decanter holds 24 oz.